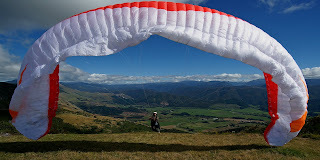 The location and dates of next years paragliding Nationals have just been finalised. Hamish Barker, supported by the Tasman Club, is directing and conducting the New Zealand National Paragliding competition to be held in Nelson from the 3rd February - 9th February, 2019. This will be an FAI Cat2 sanctioned event and is open to just 80 pilots. On site registration, compulsory briefing and a practice day are on the 2nd February. Nelson is a fantastic and spectacular place to fly. The primary launches are at: Barnicoat, Takaka, Inwoods Lookout, Mt Murchison, Havelock, Canvastown, Tapawera and Sherry River. There is a wealth of extra curricula activities for those non-flying days and for families. Cost: $200 prior to 1st December 2018 and $225 there-after.